Receive (5) $10 gift vouchers ($50 Value) for only $25! A 50% Savings. You may use more than one voucher per transaction. Willie Jewell’s Old School Bar-B-Q was founded by Joe Adeeb and Josh Martino, CEO and President of Bono’s Pit Bar-B-Q and Willie Jewell’s. 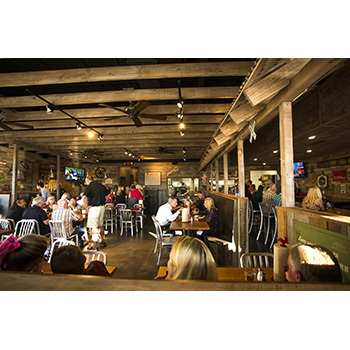 Willie Jewell’s is the Fast Casual sister concept of Bono’s Pit Bar-B-Q, a 69 year-old Southern Pit Bar-B-Q legend founded in 1949 in Jacksonville, Florida. Just like Bono’s, Willie Jewell’s smokes all of their BBQ the old-fashioned way, the low and slow method that has made Bono’s a Jacksonville favorite since 1949 and now Willie Jewell’s since 2009. Willie Jewell’s dedication to quality and authenticity is exemplified by a promise of southern hospitality, decades old recipes and the fact that everything is smoked on site and cut to order. 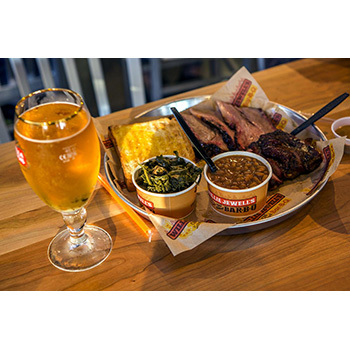 Smoked for hours, and served in minutes, Willie Jewell’s promises the best Bar-B-Q experience you have ever had so come on in and let us show you what we’re all about. Valid only at Lexington, SC location. Any unused portion of voucher will be returned via Willie Jewels BBQ gift card only.